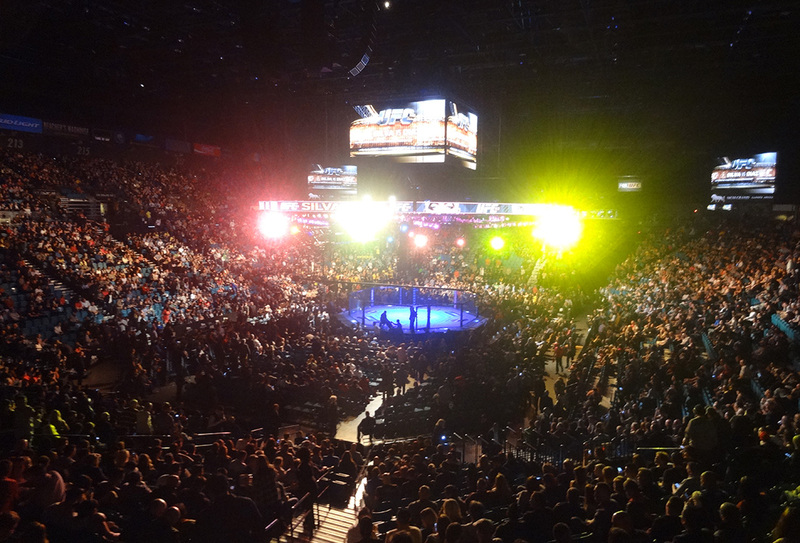 The MGM Grand Garden Arena offers an awesome venue for various events. 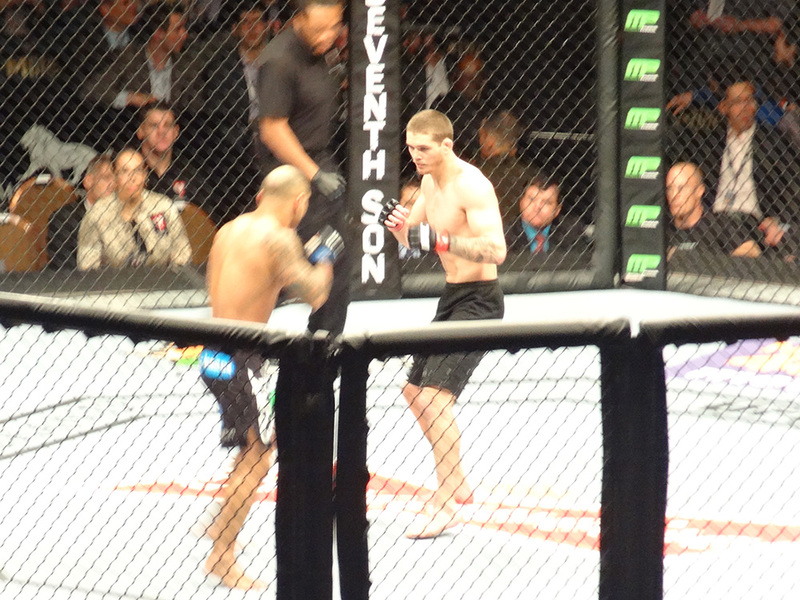 Recently I watched the UFC Fight Silva Diaz. 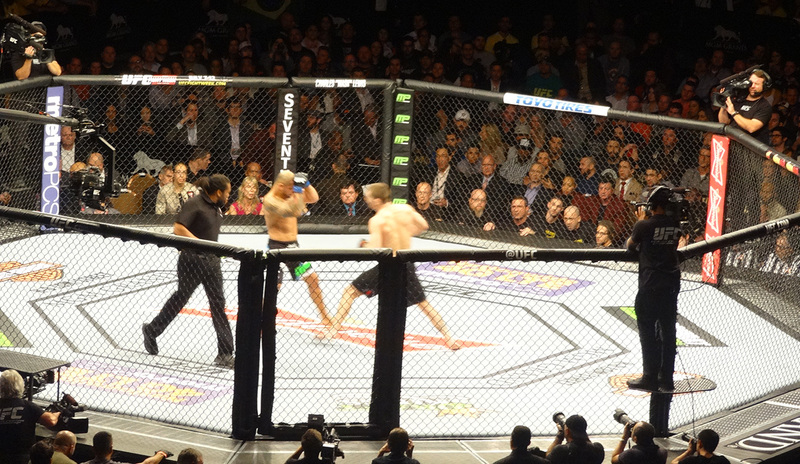 Even near the back one could see the fight clearly, plus HD screens above offered close-up views to enhance the action. 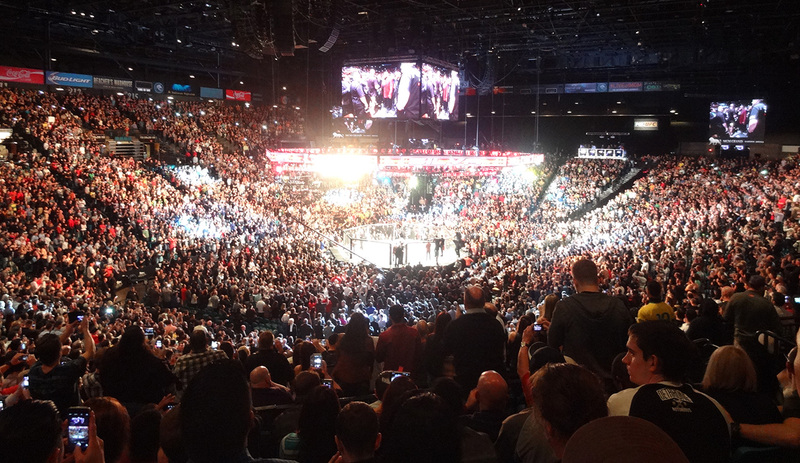 This was my first UFC live event, and I enjoyed it even more than I thought. High-energy crowd! My friend and I sat near some cool Canadians and lively conversations ensued, partially fueled by Shock Top beer. Yes amenities were easy to access — beer, food, bathrooms, and pictures with entourages and/or pretty girls. We saw some good fights. Athletes in peak condition who left it all in the octagon. 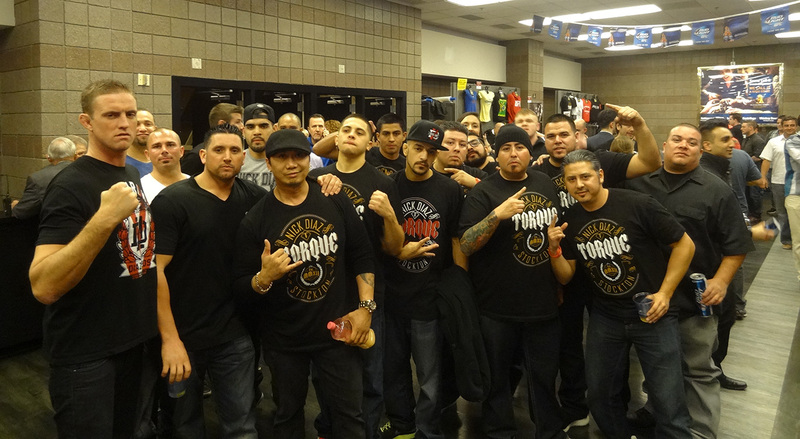 For two videos of this event, visit our Las Vegas Top Picks YouTube Channel. 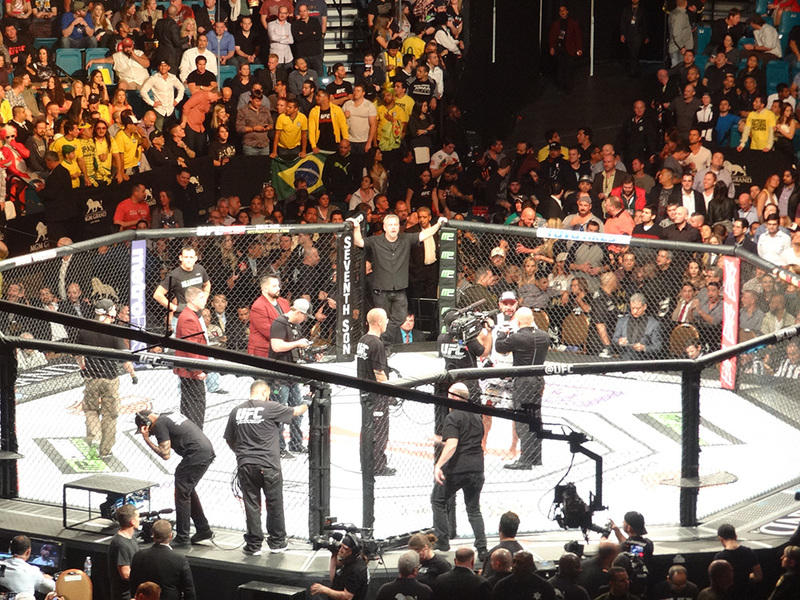 Anderson Silva beat Nick Diaz by decision at the end. Silva was emotional afterwards and clearly happy to have returned for a victory, considering both his age and recent leg injury. 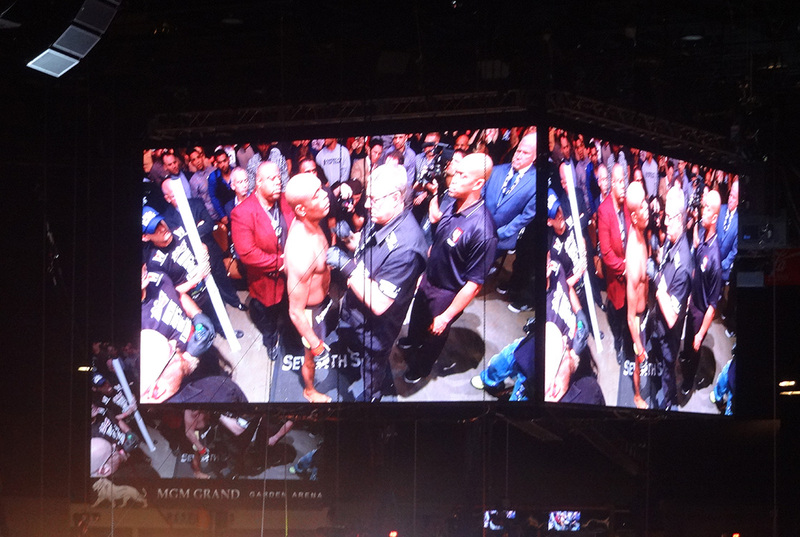 I have enormous respect for Anderson Silva — an amazing fighter and legacy. That said, watching this fight he seemed a shadow of his former glory. Our Canadian friends agreed. Silva in his prime would have crushed Diaz in the first round. Last note, along with all the guys, there were some very dressed-up ladies at this event, some in scandalous clothes. They were enjoying the testosterone and attention, I imagine. Obviously the guys loved it too. For as crowded, crazy, male-dominated, and alcohol-fueled as it was, the MGM Grand Garden Arena still kept things comfortable, fun and safe. Look forward to the next one!